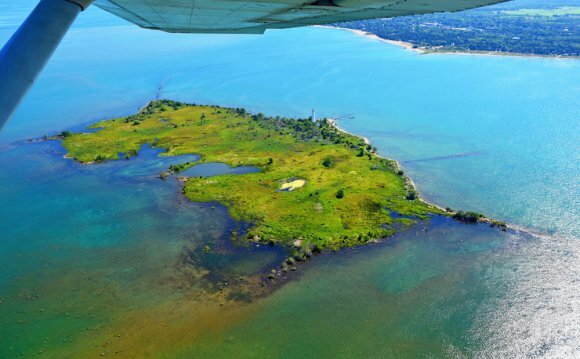 Established in 1814, military Fort Gratiot, named after General Charles Gratiot, was established to guard the juncture of Lake Huron and the St. Clair River. With a surge of vessel traffic on Lake Huron in the early 1800s, the need for a Light Station to guide vessels into the river became very important. The first lighthouse in this area was built in 1825 and was located approximately where the first Blue Water Bridge stands. Along with the poor design and construction it was built in a bad location. During a bad storm in 1828 it collapsed into the river. In 1829, a new lighthouse was built north of the military fort by Lucius Lyon, who later became one of Michigan’s first U.S. Senators. The new location made it easier for ships to spot as they entered the rapids at the head of the St. Clair River.